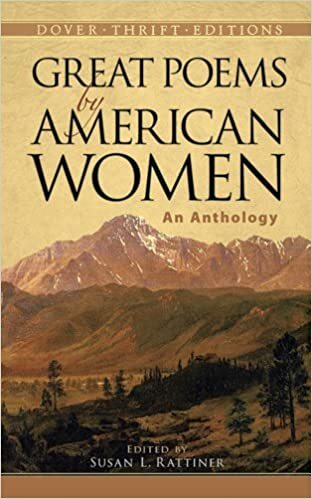 From the colonial-era poets to such 20th-century writers as Marianne Moore and Sylvia Plath, this inspiring anthology offers a retrospective of more than three centuries of poems by American women. Over 200 selections embrace a wide range of themes and motifs: meditations on the meaning of existence, celebrations of life's joys, appreciations of the natural world, and many more. "To My Dear and Loving Husband" and "Before the Birth of One of Her Children," written by America's first poet of note, Anne Bradstreet (1612-1672), appear here, along with "On Being Brought from Africa to America" and "On Imagination," by Phillis Wheatley (1753-1784), America's first great black woman poet. Selections also include more than a dozen beloved works by Emily Dickinson-"There's a certain slant of light," "I heard a fly buzz when I died," and "My life closed twice before its close," among others-as well as masterly verses by Hilda Doolittle, Gwendolyn Brooks, Edna St. Vincent Millay, Amy Lowell, Emma Lazarus, and numerous lesser-known authors. A superb introduction to America's women poets, this engaging collection offers an inexpensive and rewarding resource for students, teachers, and all lovers of fine poetry. Includes 4 selections from the Common Core State Standards Initiative: "A Bird Came Down the Walls," "The New Colossus," "Because I Could Not Stop for Death," and "On Being Brought from Africa to America."